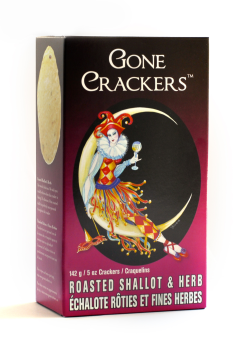 The Roasted Shallot & Herb might be my favourite Gone Crackers flavour. I love the savoury, earthy characters offset by the sweet nuances of the roasted shallots. These sweet/earthy flavours are a perfect foil for exotic wines with sweet fruity tones, while the earthy/herbal elements compliment wines that have similar characters. 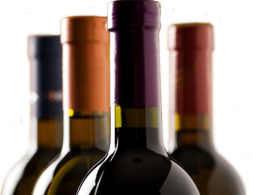 For instance, try: a fruity, sparkling Moscato, an Alsatian Gewurztraminer, a lively, fruity Riesling, and earthy and light-bodied Pinot Noir or surprise...a British Columbian Cabernet Franc. I think these trans fat, sugar and yeast free crackers are terrific on their own, but top with a dollop of creamy goat cheese, some caramelized onions and fresh thyme leaves and these tasty treats will leave you addicted, craving more.